Anabolicminds.com was created in 2002 and quickly became one of the most reliable supplement sites on the net. Featuring over 250,000 members and partnerships with over 40 companies within the industry, Anabolicminds.com is a leader in supplement, health, and overall fitness news. 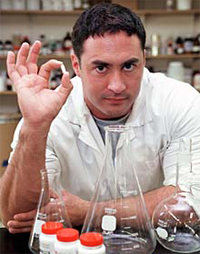 Patrick Arnold is an organic chemist who is renowned in the field of performance enhancement and sports supplements. Patrick first hit the public eye in the late 1990’s when he introduced androstenedione (“andro”) to the market place. Andro became widely known after it was linked to Mark Maguire in 1998 – the year he broke the seasonal home run record. Patrick later went on to develop several other “prohormone” supplements such as 4-AD and 1-AD. 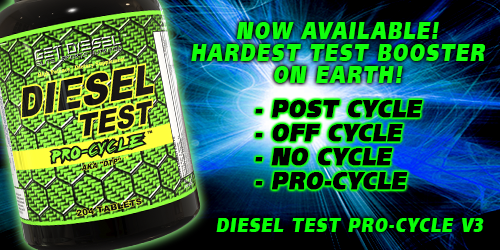 1-AD was considered by many to be the most effective and most popular prohormone ever developed. Patrick is unique in the supplement industry because not only does he discover and introduce novel ingredients, but he uses his skills in organic synthesis to develop manufacturing processes for these ingredients. Together with his business partner Lakhan Boodram, he actually carries out the commercial production of many of these ingredients and maintains his own strict quality oversight. Despite all these accomplishments, Patrick may be best known as the man who developed the designer steroids that were behind the Balco scandal. The most widely known of these steroids was tetrahydrogestrinone, also known as THG or “The Clear”. In addition to Patrick’s work with prohormones and steroids he also is credited with introducing many successful ingredients to the supplement market place such as ipriflavone, 1,3-dimethylamylamine (i.e. Geranamine®), and phenibut. Patrick currently produces products for the nutritional supplement company E-pharm Nutrition, as well as for Prototype Nutrition. He continues to be perhaps the number one driving force in the advancement of performance enhancing nutritional supplementation. Carl Lanore has your back in a way that, traditionally, very few people in this life ever do. On the surface he is the broadcast host of his own Internet program “Super Human Radio” on the SHOUTcast digital network with a solid listenership of millions of homogenous people that is growing every week. Scratch beneath that surface and you find a tireless researcher, motivator and crusader – a muscle man poster child beating the drum for Physical Culture and Ancestral Nutrition while pounding down the pseudo/so-called medical care and pharmaceutical industries which do more to keep people sick than make them well. It’s a tall order for a once 300+ pound mere mortal who was handed a death sentence mere years ago. But Lanore has re-risen in a single purposed bound as a real life superhero we can surely use in these hard times for health. Carl Lanore’s “Super Human Radio” program was designed to reveal the flaws and fallacies in today’s Western diet, its linkage to the diseases we fight against, the need for Physical Culture in the form of regular daily exercise, supplements that remove the need for pharmaceutical drugs and the importance of hormones as we age. “Live Stronger. Live Longer” remains his mantra, and Lanore walks the walk. 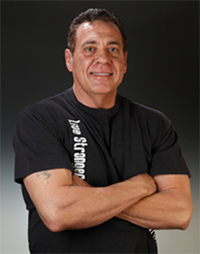 He trains almost daily with heavy resistance training methods, eats a Paleolithic style diet, began hormone replacement therapy in 2007, uses the supplements he talks about, and has turned back the biological clock of his body. He will tell you that he is stronger and in better health today than when he was in his late 20’s. Rob Regish is the author of “The Blueprint”, a highly acclaimed series of books that have allowed thousands to break pleateaus from the United States to Australia. He’s also done freelance work, writing articles for VPX Sports, Muscle and Sports Science and is a sought after consultant for program design, diets, supplement formulations and life coaching. In April of 2012, he formulated Mass Pro Synthagen – the first in a new category of supplements designed to radically improve work capacity and recovery from high intensity exercise. Finally, Rob appears weekly on www.SuperHumanRadio.com where he has both his own show answering listener questions, as well as participating in a bi-weekly roundtable on strength and hypertrophy, with world record holder/powerlifting great Wade Johnson.